How do you save your memories? For me, I have thousands of photos on my computer and my phone, which I usually use to make a photo book. This year I didn’t get that far however I ordered a set of very cool prints from Artifact Uprising. Artifact Uprising has a lovely suite of photo prints packages to choose from and the one that caught my eye was a set of 25 prints in square format with a white frame. Very “instagrammy” and cool. My local Michael’s store had a great canvas sale (2 canvases for 19.99.) You will need a 20 x 24 white canvas. 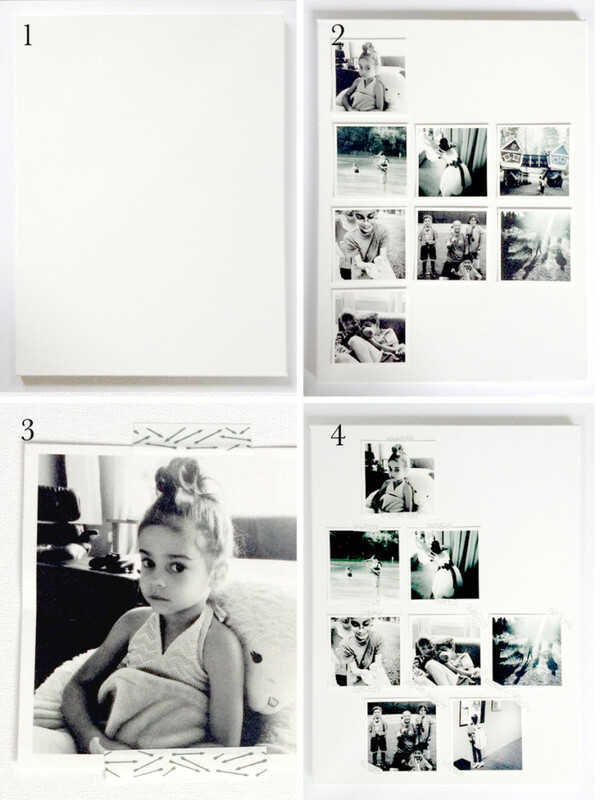 Choose about eight photos and lay them out on the canvas. 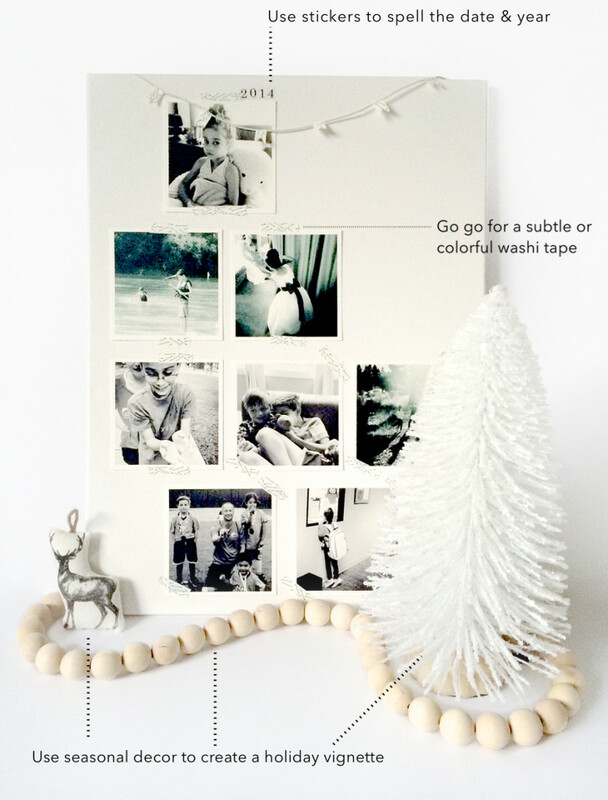 Once you are happy with your layout use washi tape to stick the pictures to the canvas. Photo showing how I used my washi tape. You can use stickers or write on the top or bottom the date or year when you took your photos. I chose a few photos highlighting moments from this past summer and other meaningful events that took place this year. For example, my daughter’s expression before going to her very first swimming lesson. A lazy day at the beach, my son’s first soccer game and my daughter peeking into her pre-k class on her first day of school. What do you think? Aren’t the photos from Artifact Uprising so cool! I always LOVE to hear your thoughts and your comments make my day! So pretty, Ursula! I have been wanting to get some of those prints, but wasn’t sure how I would display them. This is such a cool solution! I also love how you added tips to that last image too. Looks like a page from a glossy magazine! Oh thank you Alexis!!! Oh my goodness artifact uprising prints are the best! They make any photo look good with the the matte and square format :) thank you! Your vignette is really quite stunning. Since we all went digital, I don’t seem to get photos printed out quite like I used to. Off to check out Artifact Rising. Thanks for the tip! Very cool! Like Minted with an edge. I love this, Ursula!!! Brilliant for winter decorating! Thank you Susie! Though how strange I just say your comment :( Miss you friend!